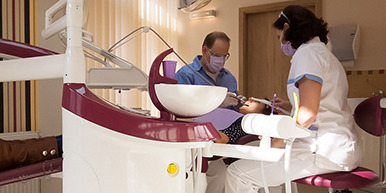 Surgeries boast the most up-to-date dental equipment, such as multifunctional KAVO dental units and CT machine to offer patients the highest standards. 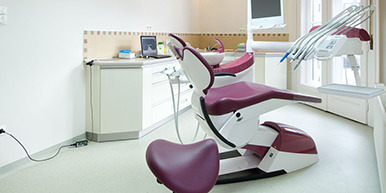 The dentistry pays great attention to sterilising the dental equipment and for this purpose they use the latest ultrasonic sterilising machines. 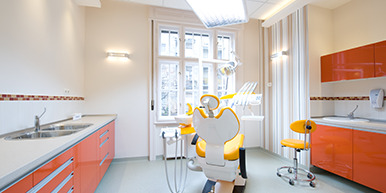 The surgery rooms are very clean, air-conditioned and friendly decorated for your comfort. It is important for the dentistry that every patient is treated very professionally so that they feel completely safe at the clinic. 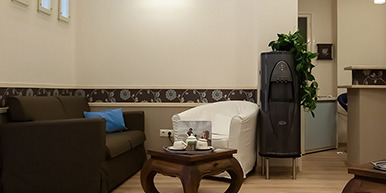 The dental clinic is situated in a beautiful residential area in the Buda side of the city, and within easy reach of the shopping districts. 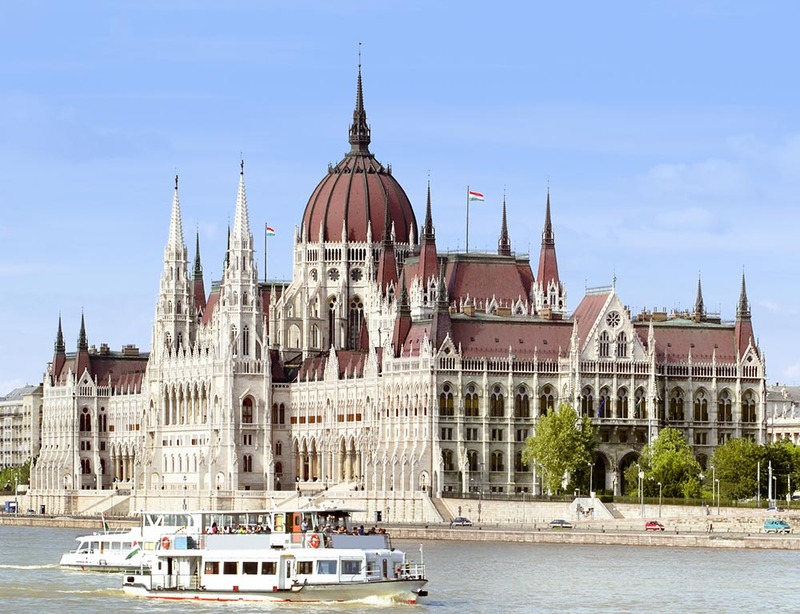 The area itself is well connected with Budapest' highly efficient public transport system. There are many boutique and traditional style hotels and modern apartments nearby, which we can recommend for your stay. 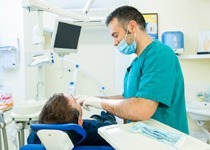 The dental team can use conscious sedation for anxious patients where the fear of the dentist and panic reactions can be avoided. And since the patient remains conscious this helps to finish work fast and with precision. This is also recommended for bigger surgical procedures. 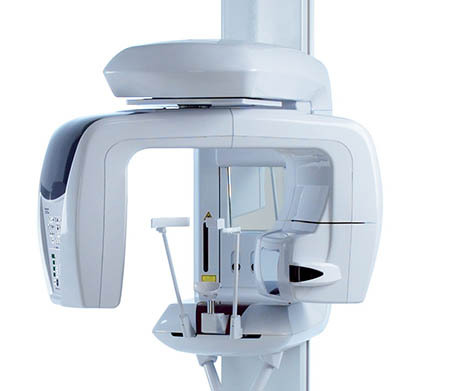 Dental cone beam computed tomography (CT) is an advanced type of x-ray equipment, used when a regular OPG panoramic x-ray is not sufficient. 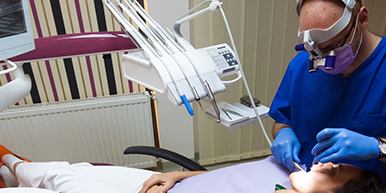 The oral surgeon may use this technology before surgical procedure to produce three dimensional (3D) images of your teeth, soft tissues, nerve pathways and jaw bone in a single scan.